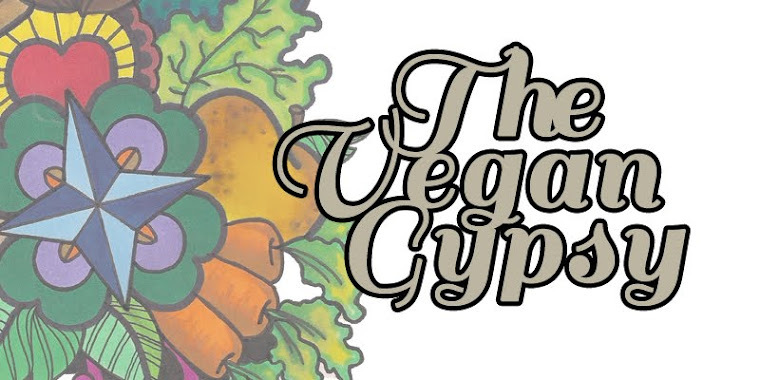 The Vegan Gypsy: Welcome, Spring! As you know, March 20th is officially the first day of Spring, also known as the Spring Equinox and, in my belief system, Ostara. In honor of the special day, I treated myself to a pretty burst of color for our front porch.I just love the bright pink of this hydrangea, stunning! Because the weather was a bit dreary, I wasn't able to garden or take a nature walk as I'd hoped, but being cozied up in the house is the next best thing. I caught up on some desk work, spent some time reading, and then, headed for the kitchen. My hunny is a Mechanical Engineer for a power company, right now his job requires him to supervise the installation of new power lines. He has found that his crew is happier and more productive when they're given a steady stream of baked goods...grin....and believe me, you want to keep these big burly linemen happy! So, that's where I come in. Every week or so I whip up something for the guys, cookies, brownies, etc, anything sweet. Yesterday I decided on cupcakes. I used just a box mix, nothing fancy, but I insist on using from-scratch frosting, standard buttercream in this case. No scrimping in this area, the frosting makes the cupcake, don't you agree? As a reward for all of this baking, Chip took me out to dinner at my favorite Thai restaurant! I always order some type of curry, this time I went for the Green version. Remember, Thai food is quite veg-friendly but many of their dishes contain oyster or fish sauce, so be sure to tell your waiter that you're vegan! The chef should be happy to adjust the dish for you, they've never given me a bit of trouble over it. At my favorite restaurant, they offer brown rice as well as Jasmine, a healthier and more tasty option, in my opinion. On the way home we stopped for a nightcap at a local Irish pub; a nice glass of chardonnay was the the perfect ending to a lovely Ostara day! I woke up this morning & discovered that I still had the baking bug, so while sipping my first cup of java, I whipped up a batch of Vegan Carrot Cake Cupcakes, courtesy of Happy Herbivore. As I gathered up my ingredients and started to measure & mix, I realized I didn't have enough applesauce, was about 1/2 cup short. Uh-oh. Hmm...I happened to have a can of pureed pumpkin in the pantry, would that work? Well, let's give it a try and find out, shall we? Preheat oven to 350 F. Grease a muffin pan or spray paper liners to prevent sticking and set aside. In a medium bowl, mix flour, baking powder, soda, sugar, salt & cinnamon in a medium bowl. In a large bowl, mix applesauce, pumpkin, vanilla and carrots. Add dry mix to wet mix in 3-4 batches. Stir until just combined. Fill cups to the top bake 15-25 minutes or until a toothpick inserted in the center comes out clean. Sprinkle chopped nuts and/or a little bit of shredded carrot on top as garnish. The verdict: Scrumptious! The pumpkin added a nice flavor to the carrot/spice mix, the consistency was a cross between cupcake and muffin. The cream cheese frosting is very sweet and a bit more runny than I like, but I dared not attempt to thicken it up with more powdered sugar. I found that placing the frosting in the refrigerator for a little while helped firm it up some and made it easier to spread. Now, what the heck and I gonna do with all of these cupcakes? Tell you what, I'll put on a fresh pot of coffee, how soon can you be here? 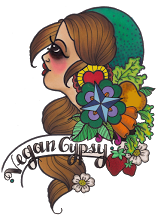 Love the Happy Herbivore and have had great success with her recipes. These muffin/cupcakes look delicious! Yum. Aisling, her recipes are easy and delicious, aren't they?